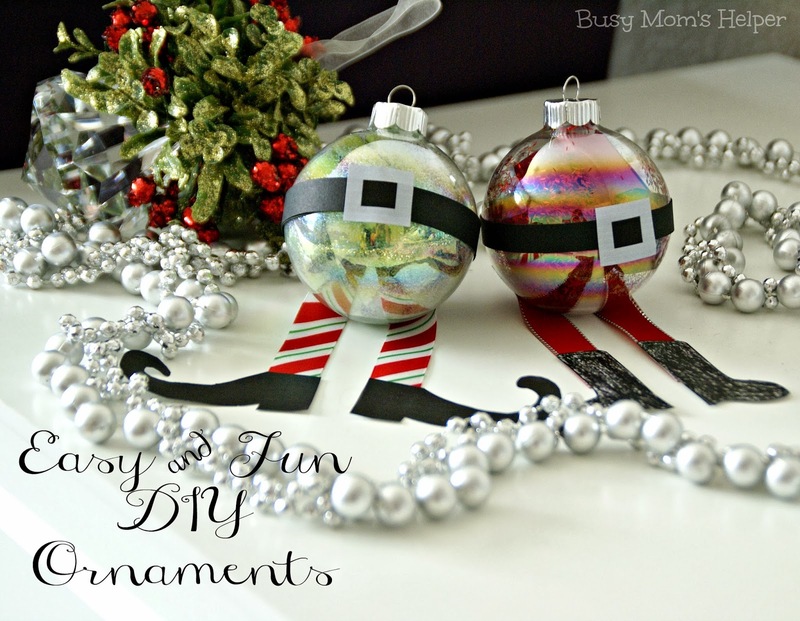 It’s definitely looking like a crafting weekend, and I think an excellent activity to keep the kids occupied are these Easy & Fun DIY Ornaments! For those who don’t know, we just moved to Texas last January, from Utah. So this is our first winter here. Now, there’s a lot of talk about an ice storm coming this weekend…..Hubbies work Christmas party was rescheduled, our church party was rescheduled….I’m sitting here thinking ‘so what, we use to get feet of snow and still had school’. Then I get told ‘No, it’s not the same. First of all, nobody here knows how to drive in ice or snow, so even if you do there’s everyone else that’s going to slide into you. Second, it’s an ICE storm. We’re talking raining ice pellets.’ So ya, I’m a bit nervous, and planning to just stay indoors at all costs for the weekend! 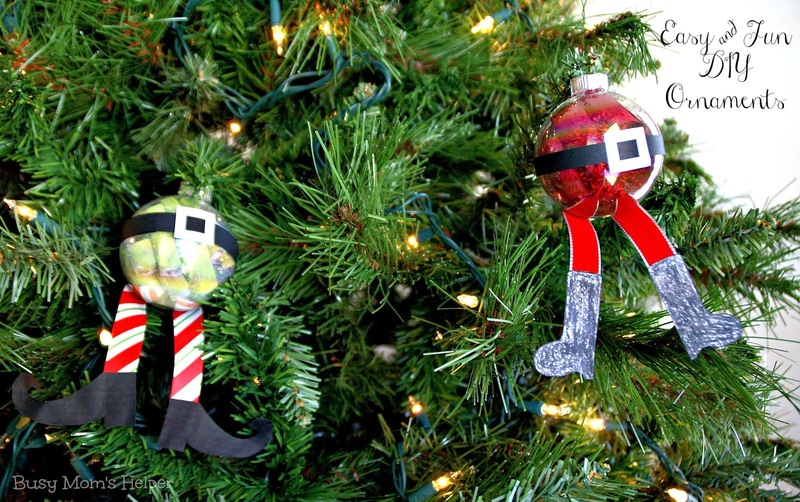 If you’re stuck inside, for whatever reason, you should definitely make some darling ornaments for your tree! These fun Santa and Elf ones turned out so cute, and were so simple and quick! First, cut the 12×12 paper into strips, about 1″ wide, then cut in half. Roll each piece of paper, then slide it into the ornament through the top opening. Add a bit of glitter and shake around, if desired. Add strips until desired fullness. Wrap a strip of black paper around the width of the ornament for the belt. Cut out and add a belt buckle shape. Tape two pieces of ribbon to the bottom of the ornament, to be the legs/stockings. Glue the boot shapes to each leg. See, so fun yet so easy – not to mention budget-friendly! Best of all worlds, right? LOVE the ornaments! 🙂 I’m a new FB follower stopping by from the Inspiration Monday link party. Love it! Just pinned it! What a great idea.